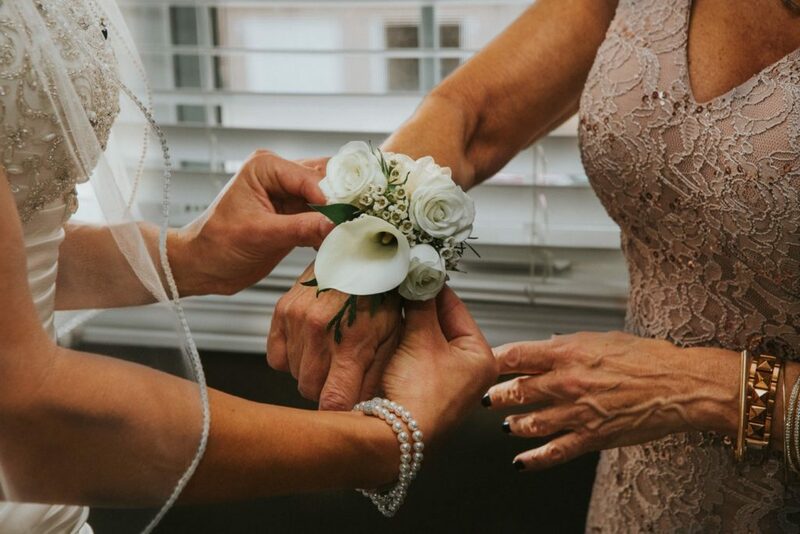 Whether you’re the mother of the bride or groom, your child’s wedding is one of the most important days of your life because it’s one of the most important days of theirs. Choosing what to wear on this special day can feel like an overwhelming task. Here are some of the biggest mother of the bride and groom dress trends to get you started. Not everyone likes to get dressed up in fancy gowns. If you’re a woman who prefers to wear pants, you’re in luck. There are plenty of wedding worthy, super-elegant suit-style ensembles for you to choose from. Go for pants with a halter-style top or a knee-length skirt with a classy jacket. Lace fabric is a timeless wedding dress option that never goes out of style. Lace can instantly make just about any dress look more elegant. When shopping for a dress with lace embellishments, keep the color scheme rich or neutral. Go for shades of beige, purple, gray or pale pink. A dress with an asymmetrical cut is a fun option that can add a touch of extra personality to your look. Consider long skirts that have an ankle- or knee-length cut in front to show off a nice pair of shoes. Asymmetrical dresses come with a wide range of top styles, from V-neck to off-shoulder to long-sleeve and more. A dress with cascading ruffles provides an understated way for you to add a bit of drama to your look. This style is like an elegant pleat for a skirt. A skirt with cascading ruffles goes well with a lace or other embellished top. Some dresses incorporate the ruffle into the top as well. There are lots of different styles to play with for this type of dress. The A-line style dress is one of the easiest to wear and is suitable for most body types. A fitted top bells out at the waist into a fun skirt. This cut is often used for classic cocktail dresses, but comes in more elegant variations as a wedding dress. It’s a simple, comfortable option that doesn’t require a whole lot of extra styling. Why Travellers Never Turn Their Backs On Good Cabin Luggage?